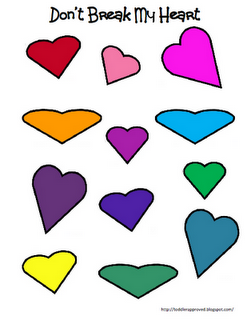 It is time to start planning Lou La's Valentine's Day class party. We ran out of time and never got around to playing Don't Eat Pete at the Winter party, so I think we might just have to play Don't Eat Cupid using conversation hearts or red and pink M&Ms. 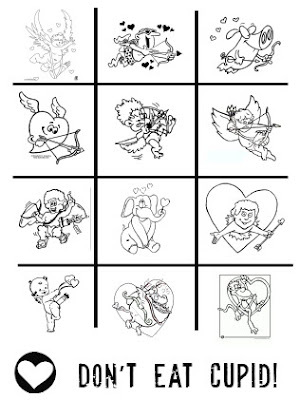 This free printable Valentine's game came from Sugardoodle. I also love this version of Valentine's Day Don't Eat Pete from Toddler Approved, Don't Break My Heart. Tip Junkie has another version, Don't Eat Val. 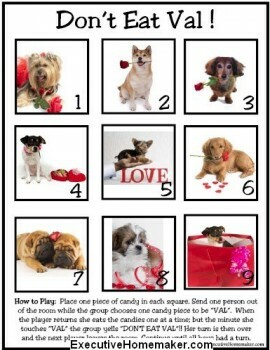 This one is perfect for puppy lovers. 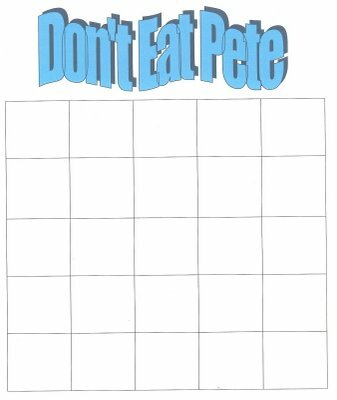 And if you have an idea of your own, you can use this free printable blank Don't Eat Pete board I found over on The Neighbor's Blog to create your own game.